Know as the fusion of retail and entertainment, this trend is gaining fast momentum across Australian retail. The ultimate goal is to make the in-store shopping experience so enjoyable and entertaining, it will encouraging shoppers to step away from online browsing at home and into shops instead. The physical store is becoming a powerful form of experiential media, incorporating lifestyle elements into their stores, such as boutique coffee shops or virtual reality experiences. Stores should convey a powerful brand story through every touchpoint and provide lots of opportunities for immersive product experiences. If you design your customer experience well, your store is the most powerful form of media at your disposal and can expose shoppers to your entire ecosystem of product experts, purchase channels, added-value services and loyalty tools. Personalisation drives and accelerates brand trust. Think of a grocer from 70 years ago knowing each of his customers personally. It was about building relationships, learning the behavior of his individual customers, adapting to their needs, remembering the key events in their lives, and adding value to their experience with his brand. Fast forward and we’ve come full circle. Retailers should be able to know who they are serving and providing products for, how often those customers shop, and have the ability to offer them relevant perks. Whether your are big or small, online or offline, analytics & data will be essential to crafting this customisation and personalisation. Through technology, opportunities for deeper relationships will be forged with customers carrying, wearing and even driving more and more connected devices. 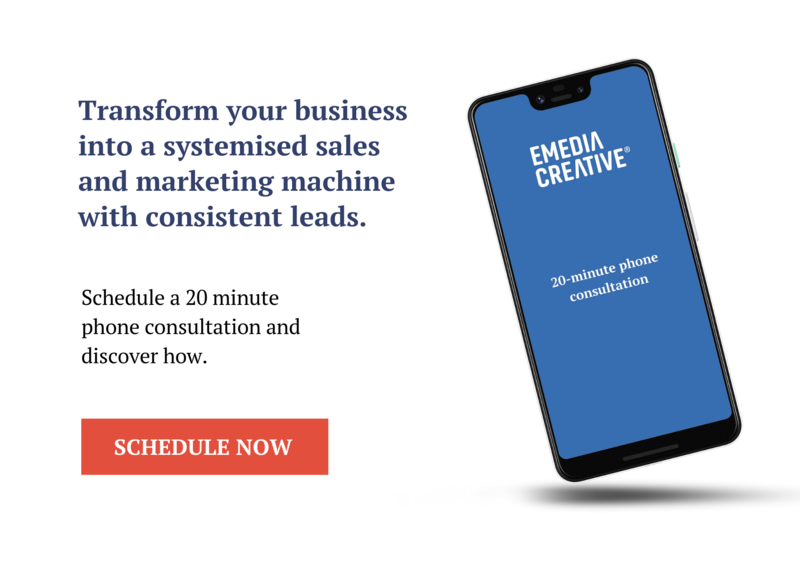 These devices collect and share data that will allow customers to receive the best products and services, in a completely personalised way, at the right time, wherever they may be. Consumers themselves are looking for new levels of customisation and personalisation. Some brands taking this leap are Nike, Adidas and Shoes of Prey, offering consumers the ability to create their own products to suit their individual tastes. And it doesn't stop there. Coca Cola’s 'Share a Coke’ campaign saw the use of HP digital printers to put people’s first names on billions of bottles and cans with huge success. Meanwhile Melbourne’s Myer stores sold approximately 400,000 customised jars of Nutella at Christmas in 2015, becoming the top-selling item for Christmas that year. When it comes to physical store size, less will be more in 2017. This trend will be fundamental in reshaping the retail landscape of the future. Retail giants such as Kmart, Target and Priceline have begun the shift to smaller format stores to provide more curated selections. With retail demographic shifts, both ageing baby boomers and younger millennials no longer want to roam huge stores. Instead they want the ease and efficiency of small stores with specialised selections. Think David Jones in Sydney's Barangaroo. 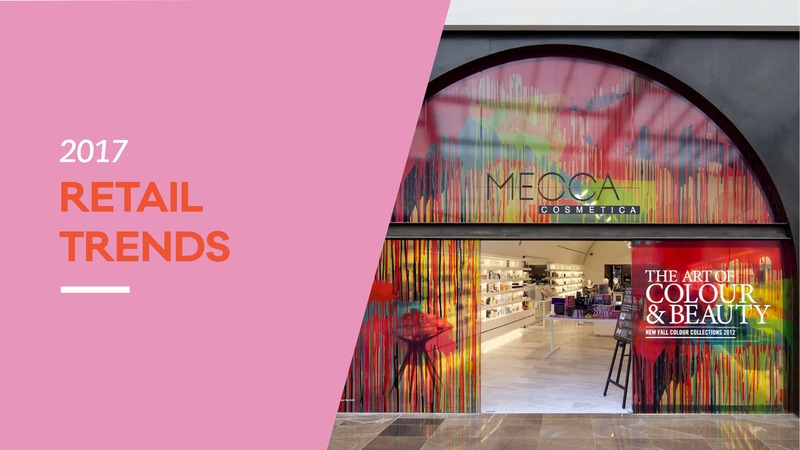 Specialty stores that focus on categories such as beauty products, like Mecca Cosmetics, will have an advantage in 2017 as consumers focus on curated selections. These niche retailers tend to provide better in-store experiences for their customers, with more knowledgeable staff, better prices, and more personalised service. If you're thinking it's all about online, think again. Brick-and-mortar stores will continue to remain important and drive the 'remarkable' customer experience consumers are starting to expect. Larger, established stores will create more shop-within-a-shop opportunities to leverage niche markets and strategies. Having your phone with you will soon be more important than carrying your physical wallet. With contactless cards expected to double worldwide by 2021 (ABI Research), 2017 will be the year people begin to ditch the physical wallet. Retailers will start to standardise the acceptance of contactless mobile wallets like Apple Wallet, and create incentives to pay this way, whilst this technology also allows customers to keep coupons and loyalty cards in the one place. According to Think with Google, 84 percent of shoppers in physical stores use their smartphones to get information about products and comparison shop. In-store beacons - small and relatively inexpensive Bluetooth devices placed throughout a store, can provide an added dimension to the in-store experience. These devices can transmit product information, sales notifications, and tailored display ads to mobile device, whenever the shopper is within range. The future of retail is about harnessing mobile technology to strengthen customer relationships and improve customer experience, while making day-to-day operations easier for retailers. And all while creating that ‘wow’ factor that puts your store ahead of the competition making it a fun and interactive shopping experience. The customer may be king, but what if employees don’t stick around long enough to crown him? We are starting to see companies invest more in the frontline employee experience, as they realise investing in higher wages, better trained, and engaged employees not only helps them fight the battle for attracting and retaining great staff, but also improves the overall customer experience. Starbucks is an ongoing example of a brand doing this right. From raising wages to changing their dress code so staff can express their individuality, Starbucks has always been at the forefront of putting their employees high on the agenda. Omni-shoppers (the networked consumer of the future) are leveraging technology and every channel available to make purchase decisions. Armed with the internet at the tip of their fingers, they are much more likely to have researched products online before going to a brick-and-mortar store. They want to deal with sales associates who are at least as knowledgeable about the product as they are. Now more than ever, investing in retail employees is essential to delivering a shopping experience like no other.